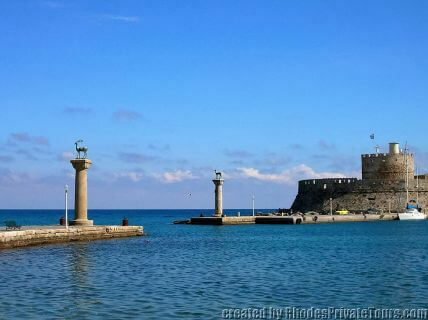 Rhodes private tours. 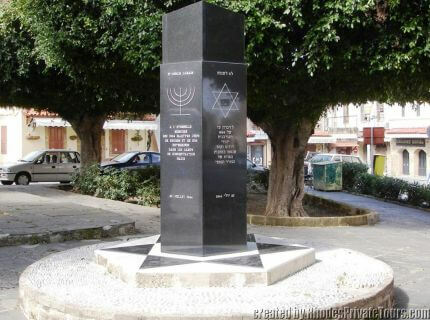 Jewish Sights tour, Rhodes Jewish Sights, Jewish Sites, Greece. 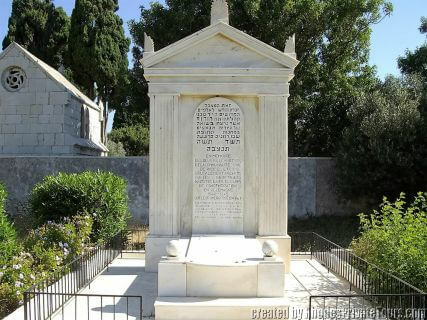 This tour is perfect for those who are interested in the Jewish community that existed on Rhodes for hundreds of years. 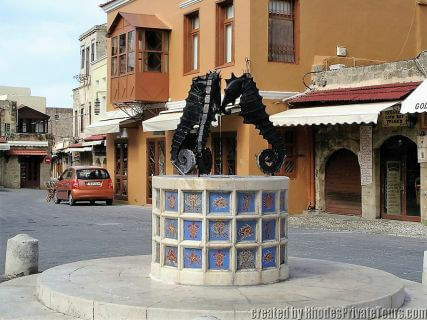 A visit to Jewish Quarter in the Medieval city will help you better understand how the people lived and worked, worshipped and celebrated, adding to your knowledge of a very vibrant part of Rhodes' history. 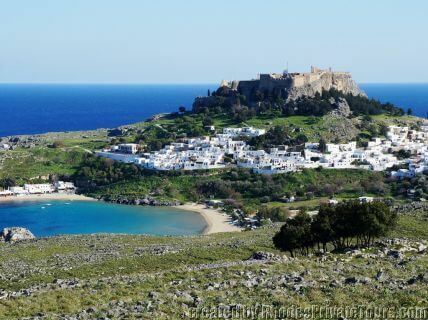 Rounding out your tour is a beautiful trip to Lindos where another part of Rhodes' history combines with natural beauty enough to take your breath away! 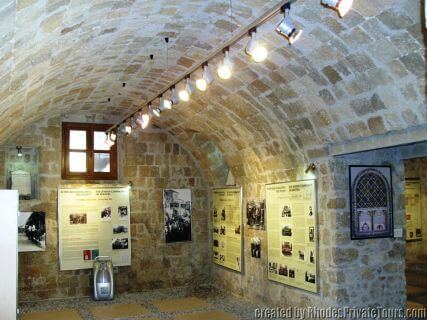 The Jewish Museum - "800 Year-Old Torah of Rhodes"
Private Tour Description: "Rhodes Jewish Tour Plus..."
Then your journey to Lindos will take you along a beautiful, 50km / 32 miles drive of the east coast of the island, past picturesque little villages. 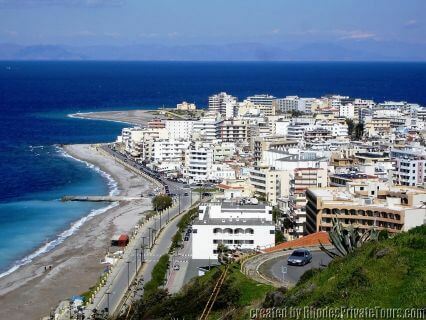 On the way back we drive along the coastal road to Faliraki famous sandy beach, and Kallithea spa. 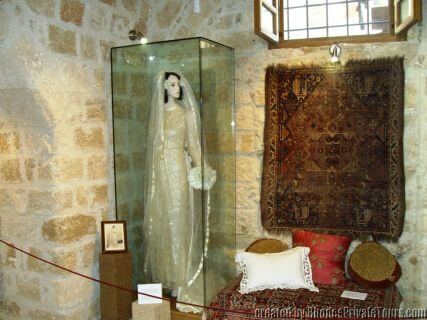 Private Tour Extensions: You can extend or change the itinerary of this private tour as you like. You can add a break for delicious lunch experiences at a seaside village at the Mediterranean Sea right on the water's edge (scenic) with fresh seafood, Rhodian cuisine and excellent local wines. Or you can add the highlights and landmarks you want to visit, or even beach time (June to September). Q: Is the Synagogue / Jewish Museum, and the Jewish Cemetery open every day? 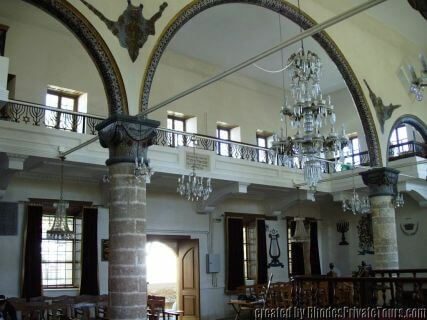 A: Yes, the Synagogue / Jewish Museum, open every day except Saturdays - April to end of October 10:00 AM - 03:00 PM. 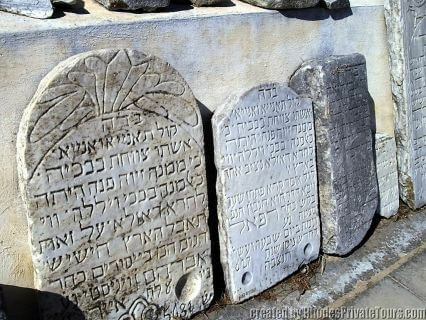 The Jewish Cemetery open every day except Saturdays and Sundays 8:30 AM - 1:00 PM. Q: How much is the entrance fee in the Synagogue and the Jewish Museum? 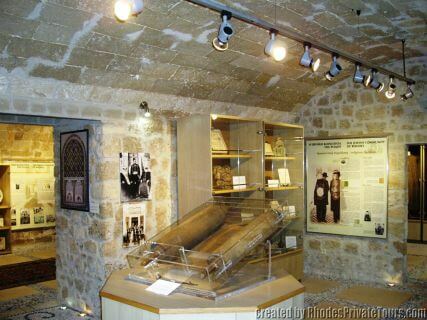 A: Entrance fee in the Synagogue and the Jewish Museum is 4 Euros per person. Q: How long does it take a walk back to our ship from the Synagogue and the Jewish Quarter? A: Usually it takes less than 10 min.